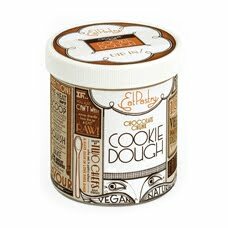 During my previous visits to Whole Foods, I would often look wistfully at the refrigerated cookie dough section, hoping for something eggless. Lo and behold, they have granted my wish! They have a bunch of vegan cookie dough made by Eat Pastry. I bought the Chocolate Chunk Cookie Dough, and it tasted just like the Pillsbury cookie dough I used to eat back when I would eat eggs! The company was started by two pasty chefs who met in school in San Diego. They also have flavors that are gluten-free, and like I mentioned everything is vegan. So excited about their products! Should try to get my hands on the said product. Thanks for the info. Let me know if you do and what you think of it! Great, thanks for the rec! Let me know what you think of it when you get it.